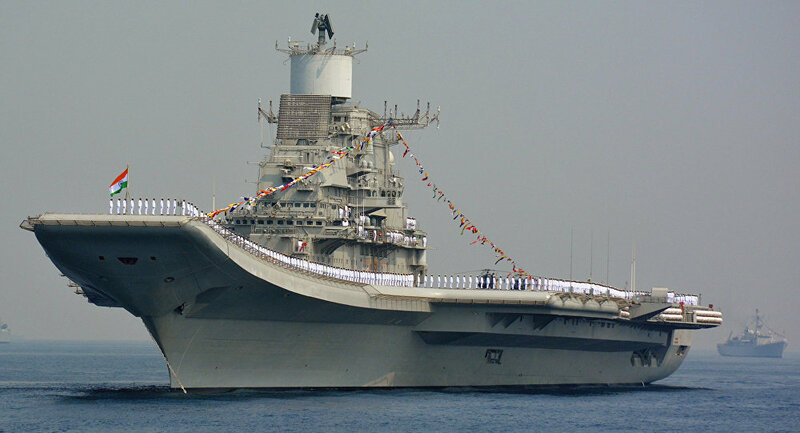 The Indian Navy successfully conducted the maiden trial-firing of a newly installed surface-to-air missile system from its Russian-origin aircraft carrier INS Vikramaditya. New Delhi (Sputnik) — The missile system, the Israel-made Barak 8, was taken out from a decommissioned warship and fitted into the Vikramaditya, the former Admiral Gorshkov, in 2015. The missile system has been fitted on the warship by cutting the deck. "During the firing carried out in Arabian Sea, missile was fired against a live low-flying high-speed target. 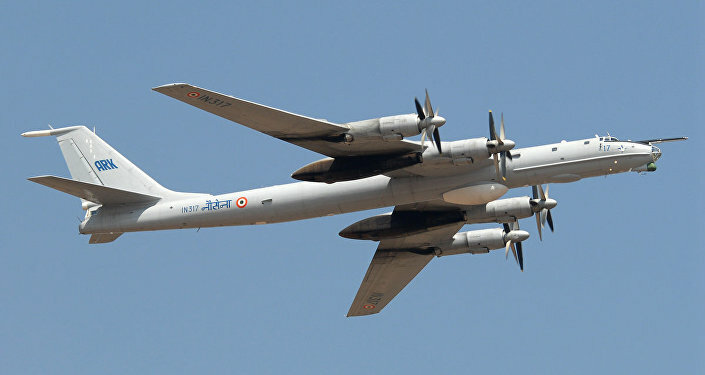 The target was successfully engaged and destroyed," said the Indian Navy. — SpokespersonNavy (@indiannavy) 24 марта 2017 г. The firing was conducted as part of operational readiness inspection of western fleet by Vice Admiral Girish Luthra, Flag Officer Commanding-in-Chief, Western Naval Command from March 21 to March 23. A floating airfield, the INS Vikramaditya has an overall length of 284 meters and a maximum beam of about 60 meters, stretching as much as three football fields put together. The ship can carry over 30 aircraft comprising MiG-29Ks, Kamov-31s, Kamov-28s, ALH-Dhruv and Chetak helicopters. The MiG-29K swing-role fighter is the main offensive platform and provides a quantum jump for the Indian Navy's maritime strike capability.